Get a glimpse of the future of Persistent Memory - it's NOW! 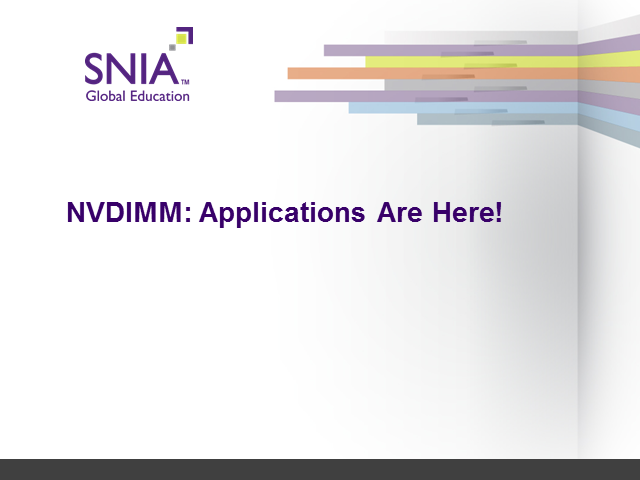 Join SNIA NVDIMM Special Interest Group in another in our series of webcasts on the NVDIMM Cookbook - how to incorporate NVDIMM into your systems and what non-volatile DIMM applications now available. We'll even highlight some of the "knobs" to turn to optimize use of NVDIMM in your applications to ease the way to simple, plug-n-play adoption!